You know that if you have a website for your business so you can easily make free android app. Its free and easy to create. 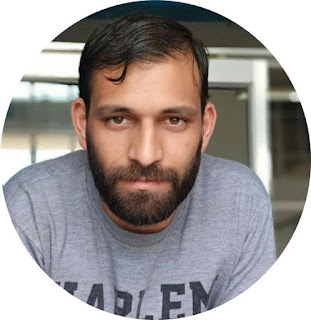 You have not need to pay money for creating your own android app. You can create this app without any knowledge of app development and no need of any tutorial, without any coding skills. 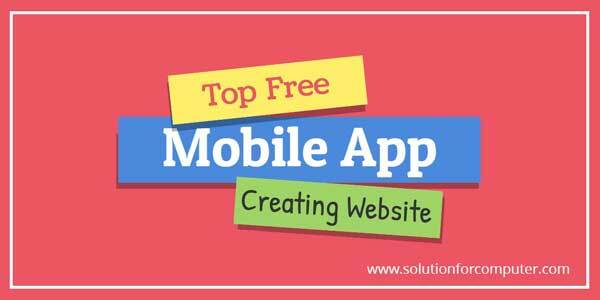 There are many website or tools available on internet that's help you to create free mobile app. If you have some knowledge of internet and computer then you can create your app in just 10 or 15 mints. AppsGeyser is a best, free, very easy and No.1 website to create mobile apps. You can create Messenger app, Browser app, Media player, Music, Store, Blogs, Games, Book reader, Website app, Social media app and many more app with help of appsgeyser website. All apps creation is very easy. You can create app in just 10 mints. I recommended you to use this app for create mobile app. Appypie is another good website for create free mobile app. You can create android ans Iphone both app here in free and you also create casino app, animation app, kids app,sports app, group and chatting app, shopping app, news app, eCommerce app and many more. In Ibuild app you can create app for Android and iPhone free without coding. iBuildApp.com is a leading cloud-based app development platform with 2,000,000+ users worldwide.You can create mobile commerce app, apps for school, Online shopping app, Your company app, You also learn easily with video that's show you how to create app. Appmakr is provides you a platform to create content based native mobiles app for iPhone and Android. You easily create your app with drop and drag mobile app creator. AppMakr's platform uses RSS and API integrations to power the content in a creator's app. This content may include text, images, podcasts, audio, and video. Creators can also add location-aware GeoRSS and Media RSS feeds. 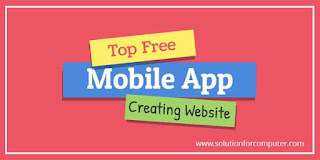 Createmyfreeapp helps you to create your mobile app for Android ans iPhone without any knowledge of coding. Its provides you unlimited downloading application. It's also provide you to change your apps on offline mode. You can create here Business app, Internet apps, Sports, Education and many more apps. Appsbar is a another good platform to create free mobiloe app free. These apps can be made for any operating systems such as Android, Apple, Black Berry and Windows. The appsbar free app builder allows you to create a highly customized smartphone app with no experience necessary and no coding knowledge. Using AppYet, anyone can create a professional Android app. There's no programming knowledge required, only take few minutes to build your first app. All you need to provide is links to Rss/Atom feed or website, they are automatically converted into stunning 100% pure native apps for Android.